And it’s one you should not ignore. 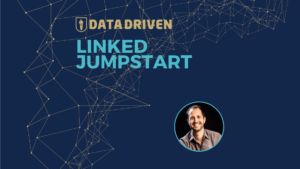 Linkedin is using their resources at Linkedin Learning (formerly Lynda) to create pass/fail tests with adaptive questions for specific skills. If you pass the timed test and find yourself in the 70th percentile you receive a badge. If you fail, you can try once more in three months. This is serious business and has a myriad of implications moving forward. If your account isn’t eligible to take a skill quiz you won’t even see the full documentation on the Linkedin Assessment page (here). Since we have it here at Zeeko, let’s break it down. Which skills are eligible for a Skill Quiz using Linkedin Assessments? 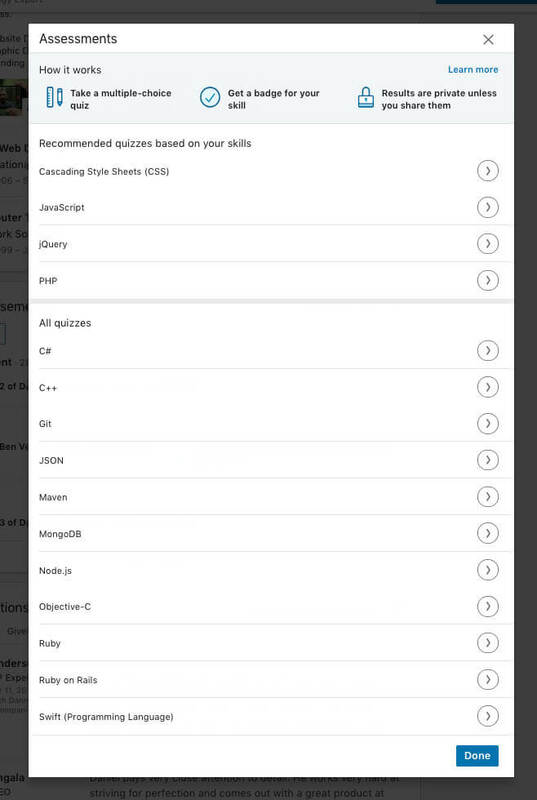 If you have any of those skills, add them to the skills section of your profile. We haven’t found any documentation on when Linkedin views you as eligible to take a quiz, but we’re assuming it’s a combination of skills listed and endorsements. 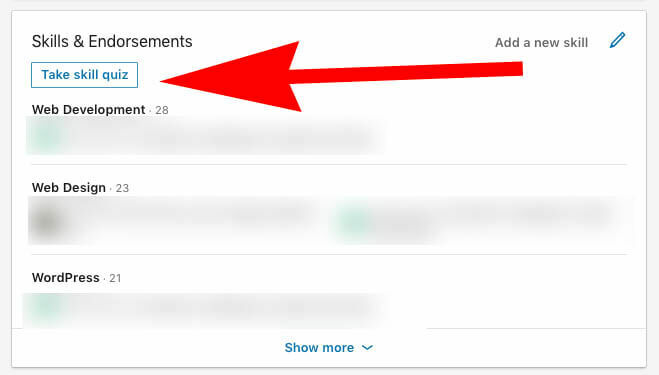 Once eligible, you’ll see a notification that says “Your Skill Passed Linkedin Assessment.” There is a note saying passing assessment tests is helpful for recruiters (which it will be) – but it’ll be helpful for a much more broad audience as well. 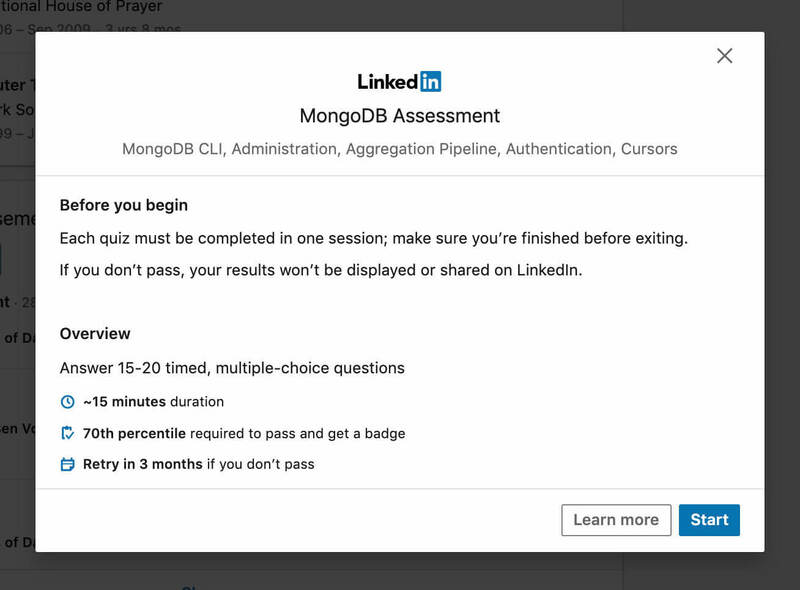 Once you select your assessment (MongoDB in the example below) you’ll be given a brief overview of topics the test covers, how many questions there are, if it’s timed or not, the percentile required to pass, and how long before you can try again if you fail. A typical assessment consists of 15 to 20 multiple choice questions, where each question tests at least one concept or subskill. The questions are timed and must be completed in one session. Profile optimization is only the beginning. How often do people endorse your skills but have never met you? All the time. Bots do skill endorsements. You can buy them. The number count next to your skill level has meant pretty much nothing – until now. Experienced LinkedIn Learning instructors and authors write the questions in the skill quiz assessments. Peer reviewers regularly provide feedback to improve the content. And a computer-based methodology called adaptive testing is used to recognize your skill level and then adjust the questions you’re asked. If you score in the 70th percentile or above, you’ll receive a passing score and be awarded a “badge”. You can choose whether you’d like to display this badge on your profile to represent that you’ve passed the assessment for that given skill. If you don’t pass an assessment for a given skill, you’ll be able to retake it one more time after three months. And because I know you’re wondering – the answer is no – failed tests are not displayed on your profile. This re-imagination of skills is far more reliable than someone checking a box on your profile to endorse a skill. Profit. Too broad? Linkedin wants to become a resource of reliable information that’s valuable enough for business to pay to access. 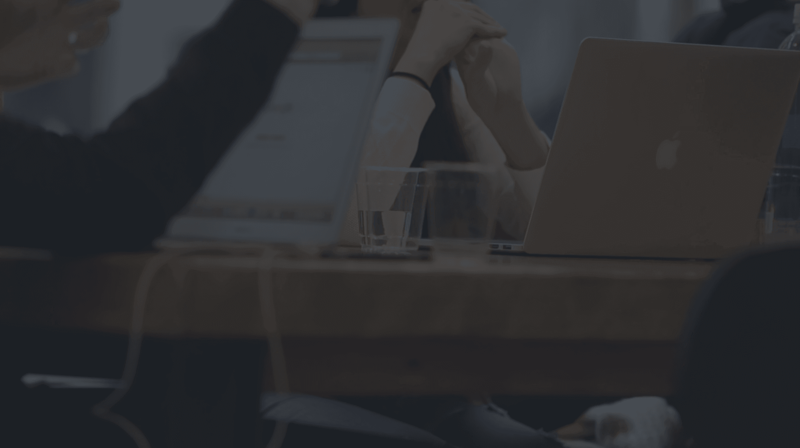 That revenue happens in the form of paid accounts, job listings, and advertising.